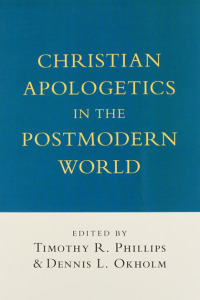 Author: Okholm, Dennis L., Phillips, Timothy R.
This is a more diverse look at the church’s mission to the postmodern man from two theology teachers at Wheaton College. Of the thirteen contributors to this volume, not all are conservative in their approach although Wm. Lane Craig’s chapter on Christian Particularism and free will is worth the price of the book. Phillips and Okholm have compiled diverging viewpoints as to how the church should attempt to reach our generation. This is good information but not the place to start in your study of this subject. I still recommend Gene Veith’s Postmodern Times as a place to start reading on postmodernism.